The country’s two largest theme park operators have already checked in with their holiday-quarter results, and now it’s time to see how the leading regional amusement park players are doing. Cedar Fair (NYSE: FUN) reports its latest financials on Wednesday morning. Six Flags Entertainment (NYSE: SIX) follows with its earnings release the next morning. The final quarter of the year is a seasonally sleepy period for the two coaster-happy chains. Most of the Cedar Fair and Six Flags parks have limited weekend operations through October for Halloween-themed events before shutting down entirely for the season. However, this is usually a great time to gauge how the amusement park operators see 2019 playing out. Analysts see Cedar Fair growing its revenue by nearly 7% to hit $243.3 million during the fourth quarter. This is a faster pace than its top-line growth during the the second and third quarters of 2018 — the seasonally potent six-month period of operations that historically accounts for more than three-quarters of its revenue and more than 100% of its full-year profitability — but it’s actually a slowdown from the double-digit growth that Cedar Fair scored in the final quarter of 2016 and 2017. Expanding its Haunt operating calendar through October and beefing up its WinterFest offering where feasible have helped pad the turnstile clicks during the slow fourth quarter. Wall Street pros see Six Flags growing even faster. They’re modeling $284.2 million in revenue for the fourth quarter, nearly 11% ahead of where it was a year earlier. Six Flags is growing faster than its theme park and amusement park peers, but it’s not organic. The recent acquisition of five parks, the opening of a pair of waterparks, and expanding Six Flags Magic Mountain operations to open every day have helped inflate its 2018 attendance and revenue figures. The real meat in the Cedar Fair and Six Flags reports will come from any comments on advance season pass sales trends or any other dynamic that could give investors a better read on the year ahead. For now, analysts see revenue growth in the mid-single digits for both chains. They also see earnings growing even faster. The bulls are winning at the moment. Momentum is on the side of the longs this time of year, as shares of Cedar Fair and Six Flags have moved higher in the first quarter in all but one of the past eight years . Chunky yields — 5.2% at Six Flags and 7% at Cedar Fair — are also keeping income investors close . With the larger theme parks raising or about to be raising ticket prices , the door is open for Six Flags and Cedar Fair to flex their own pricing powers this year. Now it’s up to each company to convince the market that it has what it takes to cash in on the industry’s favorable tailwinds in 2019. 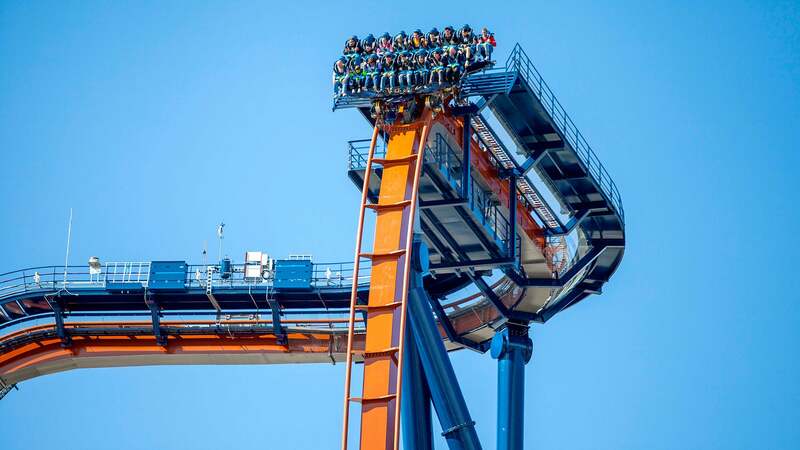 David and Tom just revealed what they believe are the 10 best stocks for investors to buy right now… and Six Flags wasn’t one of them! That’s right — they think these 10 stocks are even better buys. Rick Munarriz has no position in any of the stocks mentioned. The Motley Fool is short shares of Six Flags. The Motley Fool recommends Cedar Fair. The Motley Fool has a disclosure policy .